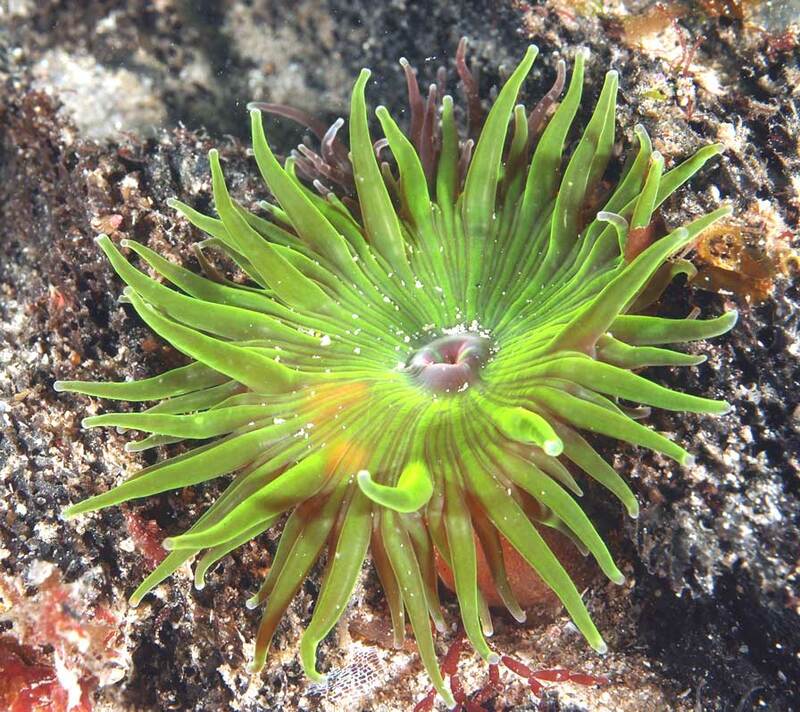 Tissues including oral disc stained green (not with chlorophyll in zooxanthellae symbiotic algae) with a green fluorescent protein, common in corals, sea anemones, and some other cnidarians. 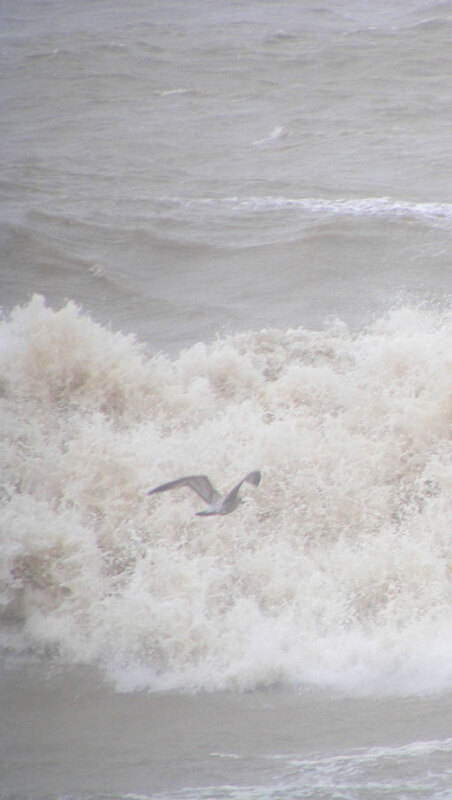 Sexual, sperm and eggs discharged into the sea. Shallow seas, including shore pools. 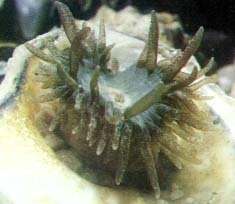 Tissues contain a green fluorescent protein which appears to be necessary for the long term survival of this sea anemone. Ingests larger food items both dead and alive, e.g. 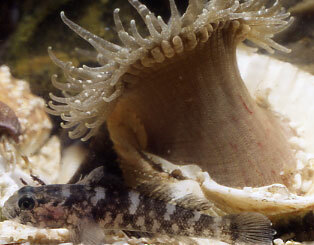 small fish, just moulted palaemonid prawns. South & west of the British Isles. Mediterranean and the Atlantic coasts of Portugal, France, Spain. Most easterly point found on the northern coast of the English Channel, is Worthing, Sussex, where it has been recorded on a handful of occasions (by Andy Horton). 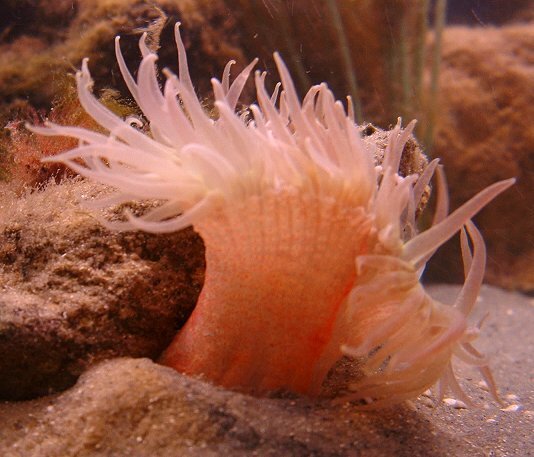 This anemone is unable to retract its tentacles. 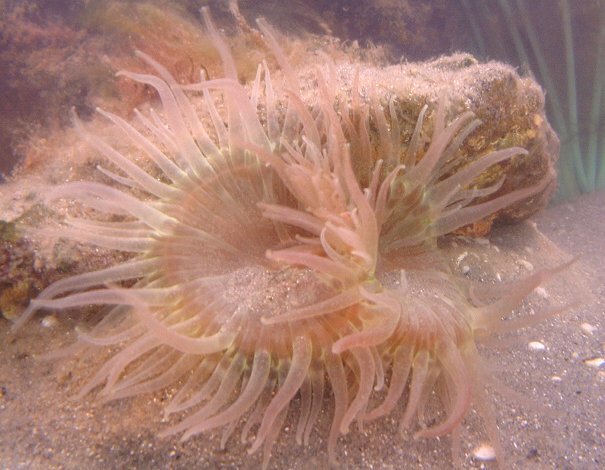 Lancing beach was home to five species of sea anemones including large Dahlia Anemones and frequent Snakelocks Anemones, enough to identify this location as the most easterly regular location of this sea anemone on the northern English Channel.